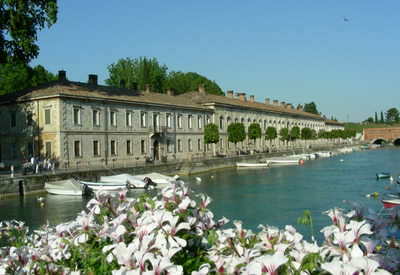 "Peschiera del Garda is an important town for its transport links and also has extensive historic fortifications"
Peschiera del Garda is one of the two towns connected to the main railway line and is also right next to the autostrada. A lot of people who head up the east side of the lake will start from here, although some may take the other main road and come off at Affi. The town centre can get pretty clogged up with traffic so try and avoid peak times if you are driving. The train station is quite easy to get to since it's a little away from the town centre. The centre of town is quite unique and fascinating with a lot of old buildings and features which date back to the many battles and wars which took place in this area. The town has considerable fortification with huge walls, moats and a bridge to impede the progress of the enemy. This is all found close to the port area and the Austrians who fought in the battle of Solferino had a hand in a number of the buildings here. Away from the lake, the town can be more commercial and less attractive, but as with most towns on Lake Garda, stick to the lakeside to see all the best bits! There are a lot of nice shops in town to explore. 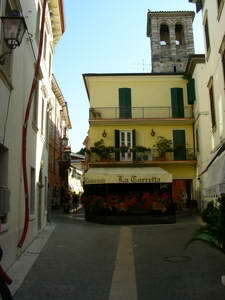 With the town's typical narrow streets and small colourful shops, it is a very charming place. Due to its position at the corner of the lake, the town is oddly shaped and changes a lot as you go from one part to another. 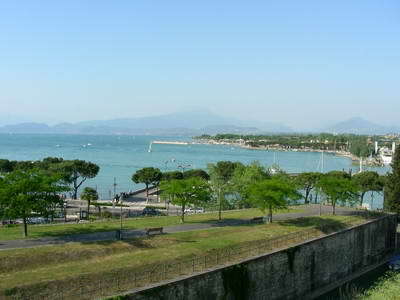 There are small beachy areas around here, but Peschiera del Garda is busy and probably not as well suited to lounging by the lake as other areas. However, it is still well worth a visit, and is also very well placed for excursions and getting to and from major transport links. 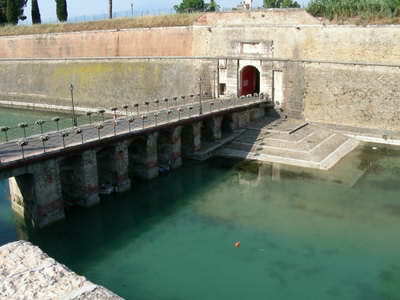 Click here to go from Peschiera del Garda to the home page.